RUSSIAN PRODIGY Sergei Polunin HAD SOARED TO THE SCORCHING HEAVENS OF BALLET. BUT, TORMENTED BY ITS SUFFOCATING STRICTURES, HE WALKED AWAY FROM THE WORLD OF DANCE AGED JUST 24. NOW, WITH DEMONS FINALLY CONQUERED AND HIS SIGHTS SET ON CINEMA, THE FIERY PERFORMER IS READY TO RISE AGAIN. 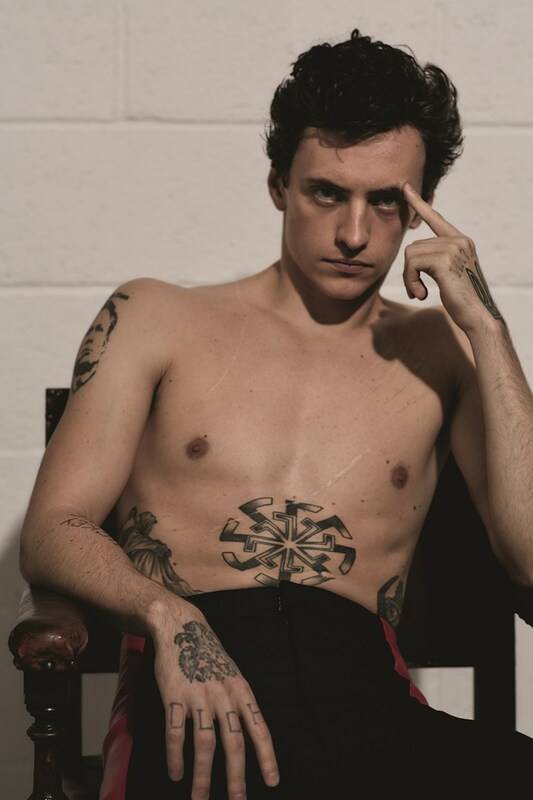 Sergei Polunin seems like a creature from another time, an era of fairytale, when the thin silk that separates myth from reality was at its most fragile. It’s as if he has stepped directly through the veil, from a place where darkness is lit by flames and hooves echo across cobblestone. He seems completely out of place, here, in Los Angeles, in midsummer 2017. He moves like a pale ghost through the sunburnt crowds hunched over their phones along Hollywood Boulevard. 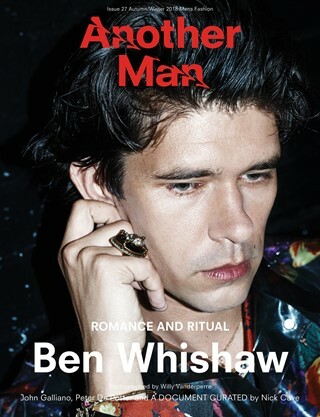 Tightly muscled, tall but still delicate somehow, he exudes a romantic, Byronic kind of elegance. He’s beautiful, but in the way of silent movie leading men – Valentino, Keaton – a face of angles and extremes. It is only when he finally sits down in a red leather booth in the city’s oldest restaurant (Musso and Frank, circa 1919) that he seems to have arrived in the kind of present that suits him. A tuxedoed waiter takes his order; the wood table glows with polish, there are fine linens, real silver. Polunin smiles, looks around and nods approvingly. Then he takes a breath and, in softly accented English, begins to tell his story. 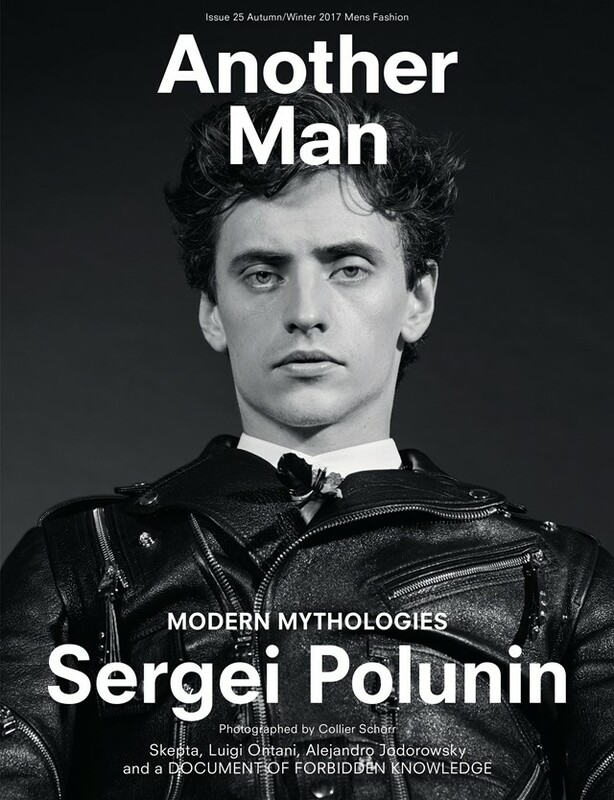 For those who don’t know who Polunin is, there’s a simple introduction. Go to YouTube, type in his name and step back in wonder. At last tally, there were 20,860,577 views of a video, directed by photographer David Chapelle and backed by Hozier: Take Me to Church captures Polunin’s last dance, his farewell (at age 24) to ballet, an art he’d studied since the age of four, an art to which (as he tells it) he had sacrificed both his childhood and his family. In the video, Polunin takes traditional ballet and turns it into catharsis. He seems to hover in the air, to float, to fly. His body is lean, nearly naked, covered in tattoos. His face shows a mix of emotion: vulnerability, frustration and, finally, elation. It’s intoxicating to watch. In the 2016 documentary Dancer, Polunin’s story is chronicled in all its mythic rise-and-fall glory. It goes something like this: born in relative poverty in the Ukraine, he was crowned a ballet prodigy soon after he took his first steps. His mother, father and grandmother did everything in their power to put him in the best schools, offer him the best possibilities. 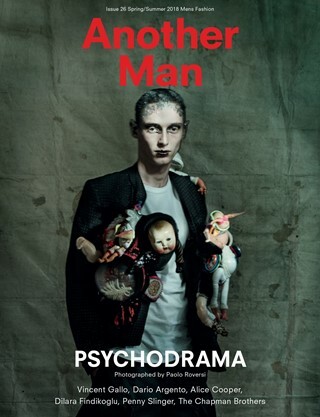 This meant separation, his parents’ eventual divorce, Polunin on his own in London as a pre-teen onward. He was the top student at the prestigious Royal Ballet Academy and aged 19 selected as the youngest principal dancer ever of the Royal Ballet. He was feted and celebrated. He was critiqued and acclaimed. His rebellions were tabloid fodder. His victories were breathtaking. 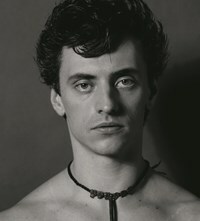 To watch Polunin dance is to be awed. But it was all too much, a fast build to a dramatic end. On 24th January 2012, just two years after joining the company, Polunin announced his resignation, claiming loudly that, “the artist in me was dying”. There was a sojourn to Russia, a series of demeaning TV competitions, and eventual tutelage under renowned artistic director Igor Zelensky. There was success and there was turmoil. Finally in 2014, Polunin decided to call it officially quits. He met up with Chapelle in a sundrenched Hawaiian church to film Take Me to Church and to take what was to be his final bow. Instead of ending his career, the video ignited it. 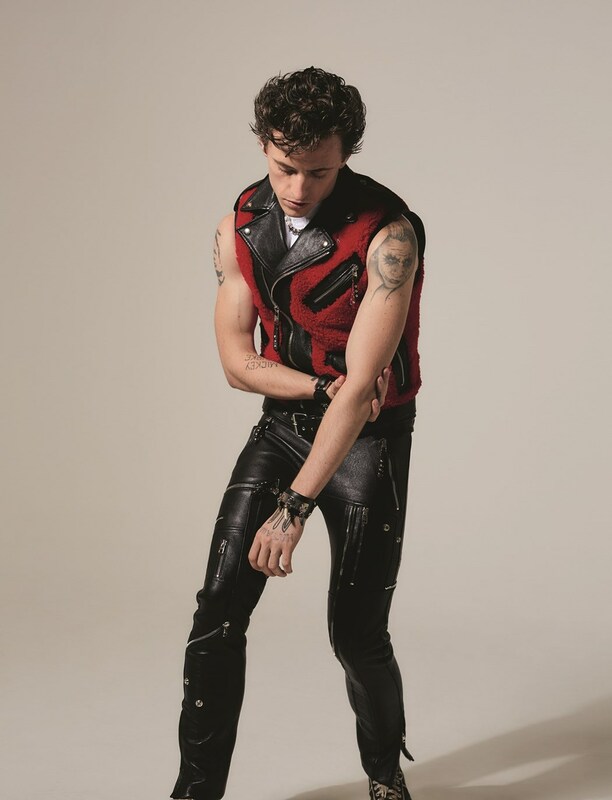 Polunin found a whole new audience, the vast world watching from their computer screens. The piece went viral – and so did Polunin. “I had quit ballet, but I realised that was weak of me. That what I needed to do was share ballet,” he says. 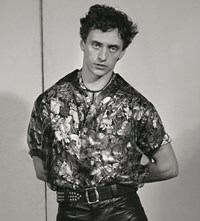 This is how Polunin talks, at 27 years old. In part because he was raised in ballet, amid structure, discipline, beauty and philosophy. 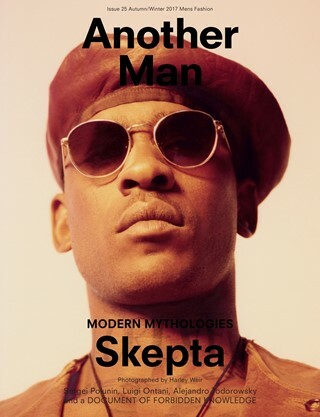 He grew up, matured, became a man, within an older art. A more refined one. 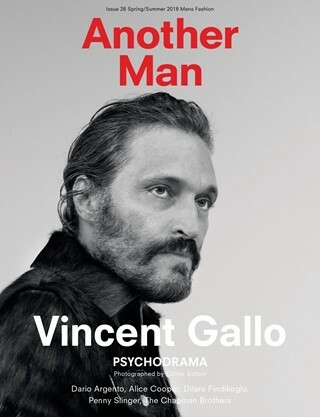 And despite his issues with the constrictions, the rules, the exhaustion, and the exploitation, ballet has formed and shaped him – not just his body, but also his mind, his way of thinking and being. What Polunin also seems to enjoy about acting is the collaborative nature of it, the family of artists necessary to make a film. “What I really loved is being together,” he admits. “It’s working with others. It’s not like you’re by yourself doing something. You are a team. You’re one with the camera, you’re one with the director, you’re one with your co-worker, so it’s like you are creating together. You feel like you are a part of something, rather than doing it all by yourself.” He pauses and thinks for a moment. Polunin trails off… a shadow passes his face. Then, he shakes it off, looks up and grins. And he is young again, joyful, the shadow gone. 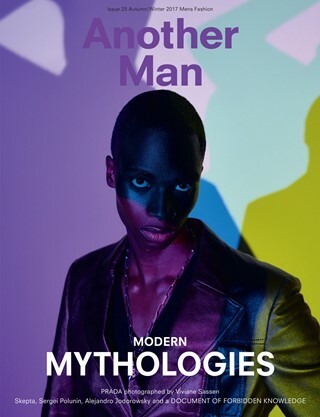 The A/W17 ‘Modern Mythologies’ issue of Another Man is out now. 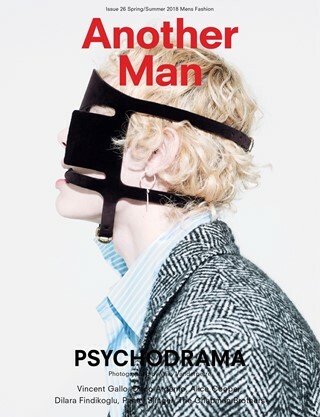 Purchase a copy here. Hair Matt Mulhall at Streeters; Make-up Laura Dominique at Streeters; Set design Andrea Cellerino at Streeters; Photographic assistants PJ Spaniol, Will Grundy; Digital technician Stefano Poli; Styling assistants Reuben Esser, Rhys Davies, Steph Francis; Retouching Two Three Two; Production Sylvia Farago Ltd.